In an unsurprising move, United matched the recent bag fee hikes from Continental and Delta. Travelers on United will now pay $23 online and $25 at the airport for the first checked bag, and $32 online and $35 at the airport for the second checked bag. The move comes just a day after Continental raised its fee, which in turn was a match of Delta’s hike last week. The question now becomes when US Airways and American jump on the bandwagon. American doesn’t currently offer an online discount, but has kept its fees in line with the online fees charged by its competitors. 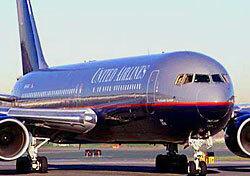 US Airways is likely to match both the online and airport fees levied by United, Continental, and Delta. As always, you can track all the airline fees with our Ultimate Guide to Airline fees chart.